Breath of the Gods. A film by Jan Schmidt-Garre. Featuring yoga legends B. K. S. Iyengar, Pattabhi Jois, T. K. Sribhashyam, and T. Krishnamacharya. 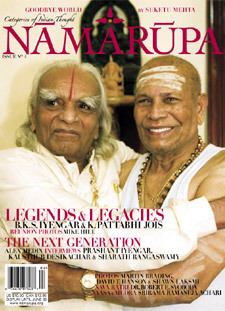 GURU offers never before seen insights into the life of celebrated 90-year-old Ashtanga yoga guru Sri K. Pattabhi Jois. Jois, whose students include Madonna, and who is featured in the next issue of “Vanity Fair” magazine, is certainly a hip guru. But having devoted himself selflessly to yoga throughout his life, is he happy with the accolades of the past few years? What does he actually think of his “foreign” students with their yoga dreams? What do his Western devotees get out of traveling all the way to India to see him? Some would go as far as to say he is an enlightened being . . .
100 Years of Beatitude – DVD edited by the CNRS Images. The ceremony of the 100th anniversary of Shri T. Krishamacharya, November 1998, Chennai. In November 1988, in Madras, Shri T. Krishnamacharya, scholar, philosopher, poet, musician, therapist and yoga master, will celebrate its 100 years. 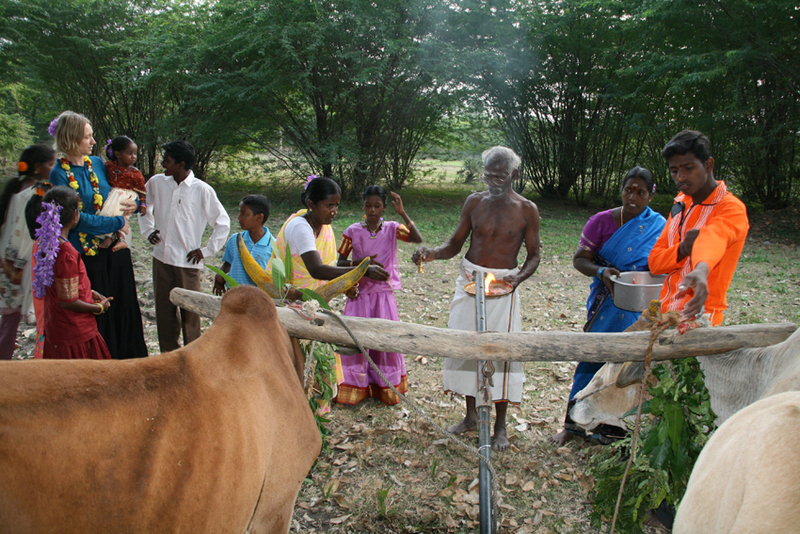 One hundred eight Brahman priests were invited to celebrate this anniversary by great sacrifices. The festivities (incantations, fumigations, recitations of prayers, various offerings) are presented in alternation with the practice and teaching of yoga by the great master Sri. T. Krishnamacharya, using archival documents. Is also evoked his exceptional life. 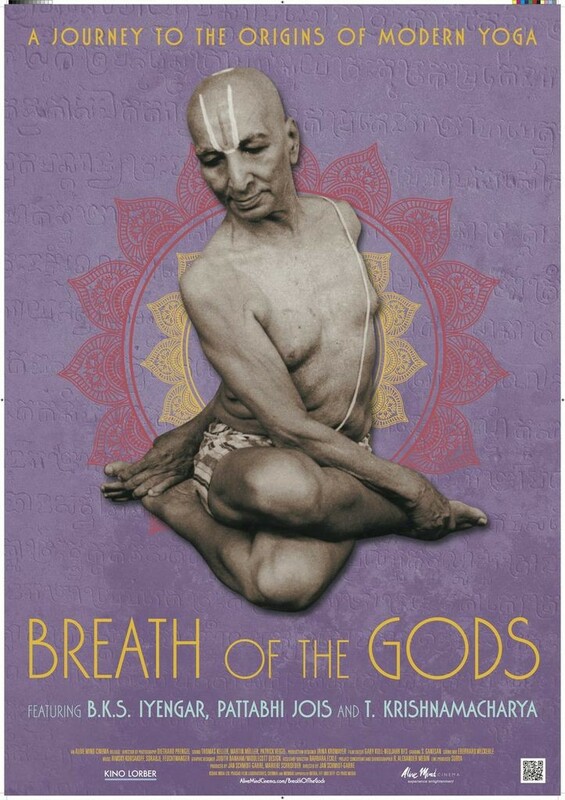 Krishnamacharya DVD with historic footage now available – Was an Indian Yoga teacher, ayurvedic healer and scholar. Often referred to as “the father of modern yoga. This entry was posted in The shop and tagged Ashtanga Yoga, B.K.S. 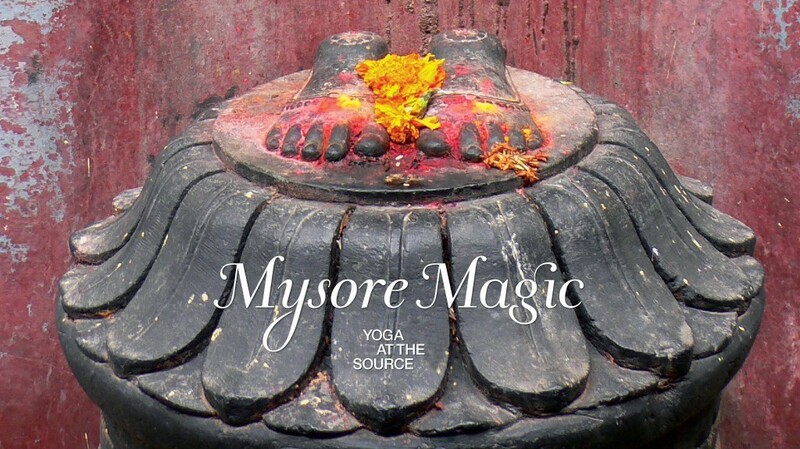 Iyengar, Breath of the Gods, David Swenson, GURU DVD, Jan Schmidt-Garre, John Scott, Mysore Magic, Shri K. Pattabhi Jois, Shri T. Krisnamacharya, T. K. V. Desikachar, Tim Miller, Tom SEWELL, Videos on 5 March 2016 by Jean-Claude Garnier. There are now many books concerning the practice of traditional Yoga. 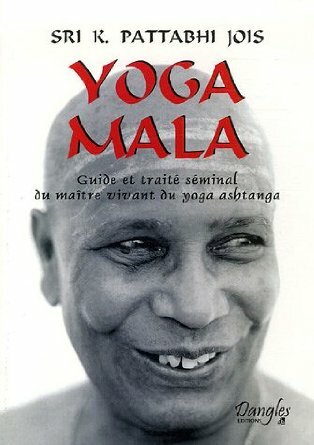 Yoga Mala, by Shri K. Pattabhi Jois. Translation in English of the work written in 1958 by Shri K. Pattabhi Jois in Kanada (the language of Karnataka). 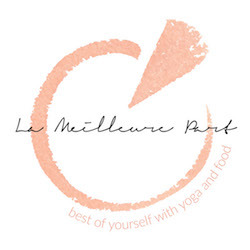 Explanations on the philosophy and discipline of yoga, breathing system and questions about the practice of yoga and the benefits of this practice. John Scott’s Ashtanga Yoga draws on his expertise as a teacher of this most energetic form of yoga. 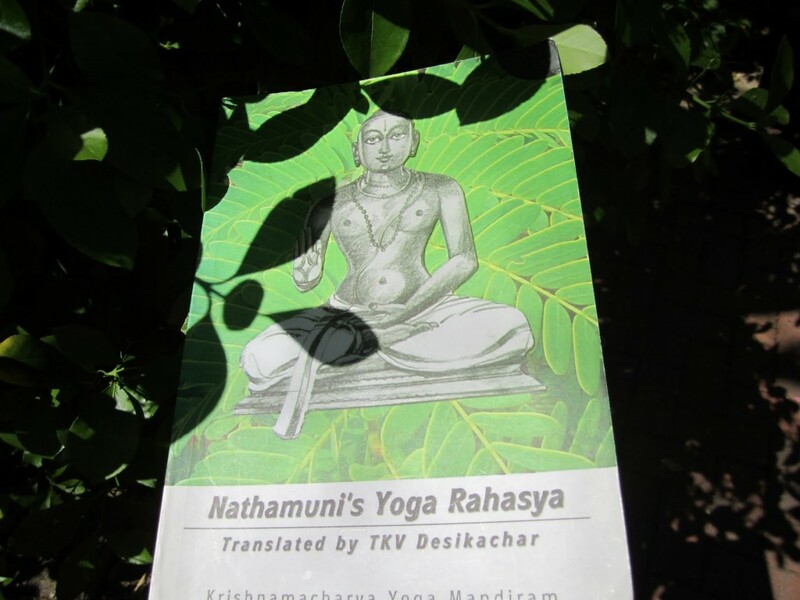 Yoga Yajnavalkya, by G. Mohan & and Ganesh Mohan, The Yoga Yajnavalkya was considered by the great yogi Sri T. Krishnamacharya to be the most important and authentic classical text on yoga after the Yogasutras of Patanjali. Many other yoga texts, including the Hatha Yoga Pradipika and Gheranda Samhita have borrowed verses from this text. The Yoga Yajnavalkya takes the form of a conversation between the sage Yajnavalkya and his wife Gargi. 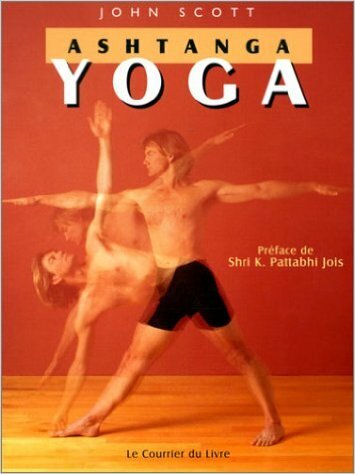 The book is a well-structured presentation, following the eight limbs of yoga. An important feature of this text is the in-depth discussion of the kundalini and sound pranayama practices. The Heart of Yoga, by K. V. Desikachar. Sri Tirumalai Krishnamacharya, who lived to be over 100 years old, was one of the greatest yogis of the modern era. Elements of Krishnamacharya’s teaching have become well known around the world through the work of B. K. S. Iyengar, Pattabhi Jois, and Indra Devi, who all studied with Krishnamacharya. Editeur : Inner Traditions, 2nd Edition, Revised Edition (1 mars 1999). Krishnamacharya : His Life and Teachings, by G. Mohan & and Ganesh Mohan, In this book, the author, A. G. Mohan, a well-respected yoga teacher and yoga therapist, draws on his own memories and Krishnamacharya’s diaries and recorded material, to present a fascinating view of the man and his teachings, and Mohan’s own warm and inspiring relationship with the master. This portrait of the great teacher is a compelling and informative read for yoga teachers and students who truly want to understand the source of their tradition and practice. The Yoga of the Yogi : The Legacy of T. Krishnamacharya, by Kausthub Desikachar. The Yoga of the Yogi This deeply personal biographical tribute by Krishnamacharya’s grandson includes photographs, archival materials, and family recollections that have never been published elsewhere, as well as unique insights into the “master of masters” by some of his most famous students-Indra Devi, Sri K. Pattabhi Jois, B.K.S. 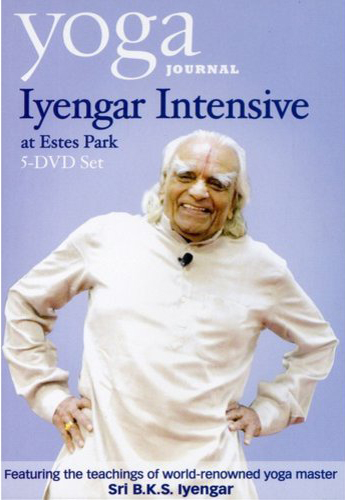 Iyengar, and T.K.V. Desikachar. 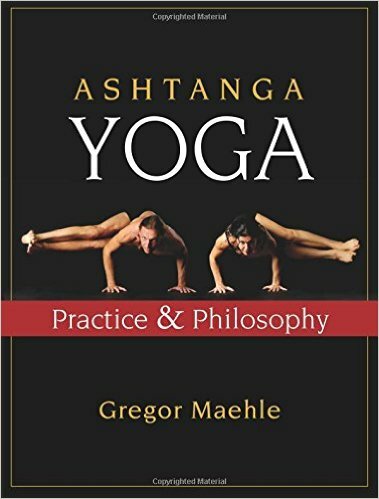 The definitive guide to the philosophy and practice of Yoga–the ancient healing discipline for body and mind–by its greatest living teacher. Light on Yoga provides complete descriptions and illustrations of all the positions and breathing exercises. Features a foreword by Yehudi Menuhin. n this classic yoga best-seller a world-renowned yoga master shares the techniques of breathing together with a comprehensive background of yoga philosophy. 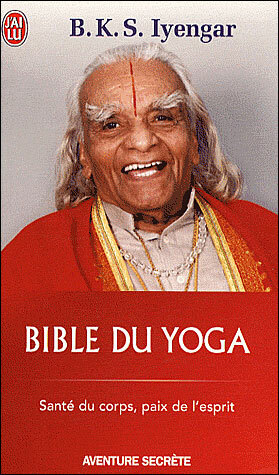 BKS Iyengar’s translation and commentary on these ancient yoga sutras has been described as the “bible” of yoga. Iyengar developed a form of yoga that focuses on developing strength, endurance, correct body alignment, as well as flexibility and relaxation. 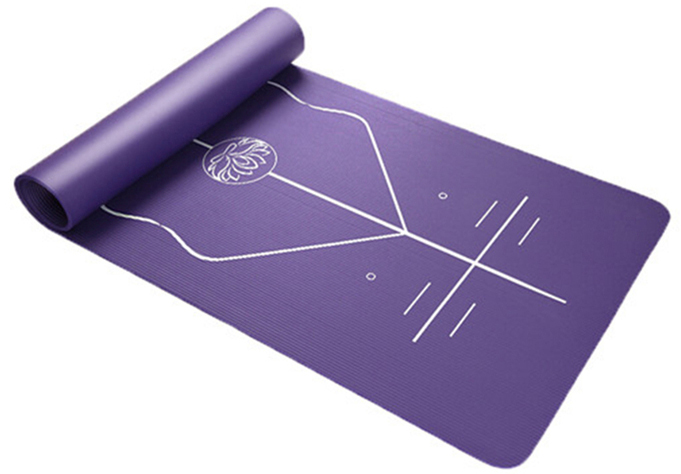 The Iyengar method integrates philosophy, spirituality, and the practice of yoga into everyday living. In The Tree of Yoga, Iyengar offers his thoughts on many practical and philosophical subjects including family life, love and sexuality, health and the healing arts, meditation, death, and Patañjali’s Yoga Sutras. K.S. Iyengar―hailed as “the Michelangelo of yoga” (BBC) and considered by many to be the most important living yoga master―has spent much of his life introducing the modern world to the ancient practice of yoga. Yoga’s popularity is soaring, but its widespread acceptance as an exercise for physical fitness and the recognition of its health benefits have not been matched by an understanding of the emotional, intellectual, and spiritual development that the yogic tradition can also offer. 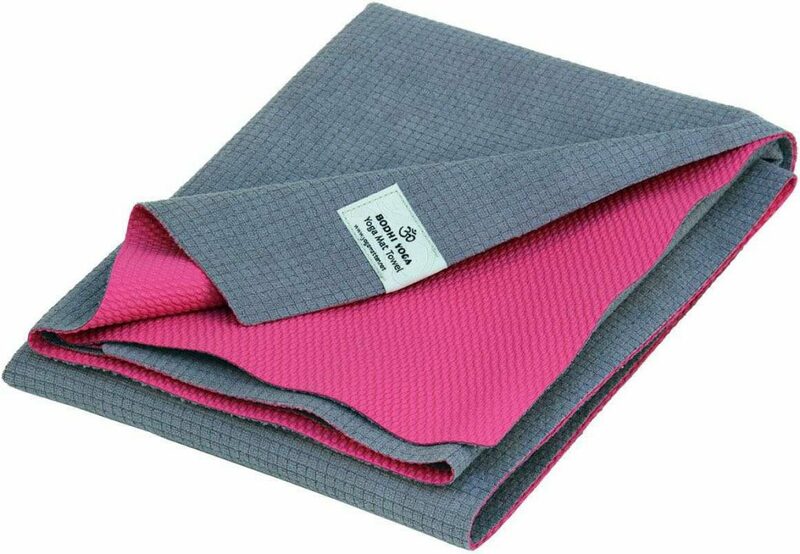 This entry was posted in The shop and tagged Ashtanga Yoga, B.K.S. Iyengar, books, David Swenson, John Scott, Shri K. Pattabhi Jois, Shri T. Krisnamacharya, Sri Nathamuni, T. K. V. Desikachar, Yoga Mala, Yogarahasya on 3 March 2016 by Jean-Claude Garnier. It was here, in 1991 on the highest terrace of the hotel that I lead my first sessions of Ashtanga Yoga in Mahabalipuram, with a “tent” to shelter from the rain and the sun… What memories… There is always this magnificent Ganesh who welcomes you in the centre of the Court. The Greenwoods Beach Resort is the perfect place to be in the centre of activity in Mahabalipuram, very close to the ocean (3′) and restaurants, but therefore a bit noisy. Unfortunately, only a few trees are left in the beautiful garden. Restaurant on the first floor, but without any real charm or flavour. Rooms are air-conditioned or not, but a little dark. Down on the ground floor at the rear, is our friend Krishna and his team who give massages and Ayurveda quality treatments. This entry was posted in Practical information for India and tagged Ashtanga Yoga, Ayurvedic, Ganesh, Green Woods Beach Resort, Krishna, Mahabalipuram Mahabalipuram, massages, treatments on 11 December 2015 by Jean-Claude Garnier.